Despite Black Panther being the 1st Black Superhero, there were black characters who predated him….one of these is Lobo a gun slinging black cowboy who made his debut in Dec 1965 to Dell comics. Created by writer D. J. Arneson and artist Tony Tallarico, Lobo was a”lone wolf” of the wild west who dispensed justice through typical western fare. Upon leaving a criminal dead he was noted as leaving a golden coin with the image of a wolf on them. The series in modern times is rather rare and the series only lasted two issues which fetch a hefty price nowadays. He is noteworthy as comics first black cowboy and the first black Character to headline his own titular series. 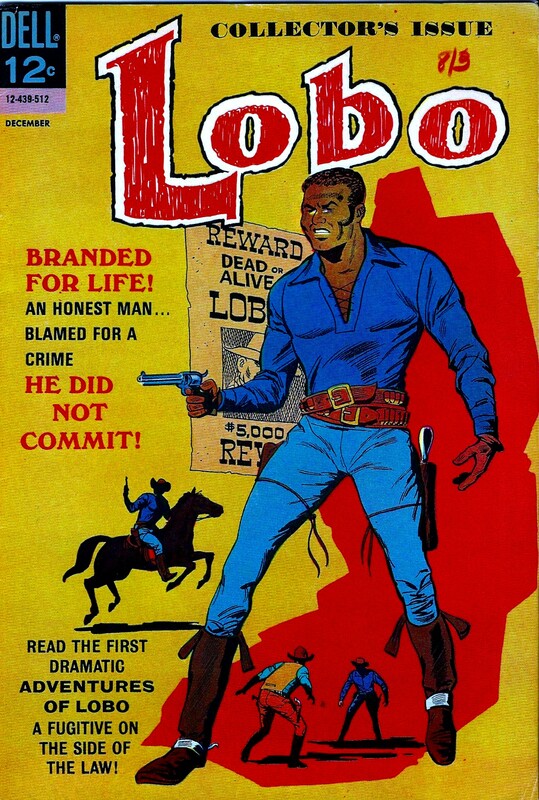 Plus Lobo was created by a Black American illustrator. Im just now getting back in to comic books,plus I love dark horse comics. Cowboy like they did jango.